Finding a good roommate is hard anywhere — but at Stanford, things can be even more complicated. 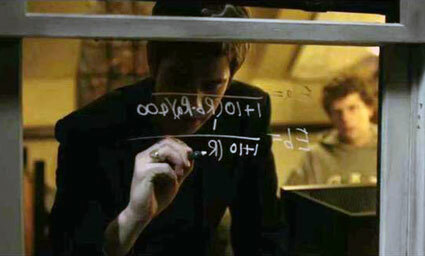 At least, that’s what junior Elliot Rancorn found when he was paired up with one who simply would not stop writing earth-shattering formulas on the room’s one window. The room’s other inhabitant, Ronny Cobb, acknowledged that the incident took place — and has done so five more times since — but defended his actions nonetheless. His roommate, however, is unconvinced. As of press time, Rancorn had just finished scrubbing away the last few hastily-scribbled proofs with which Cobb has disproven the linearity of time.